on Quesada Ave behind the Bayview Hunter’s Point YMCA. Click here for photos and videos of the event. 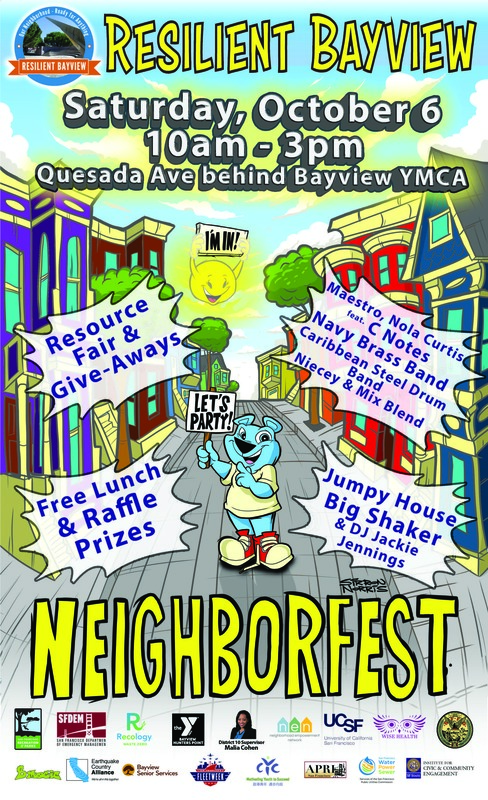 On October 6th, 2018, Resilient Bayview (RBV) hosted its second Neighborfest. This event, funded by the Department of Public Health, featured local bands and the Navy’s 32nd Street Brass Band, a 30 vendor health and resilience resource fair, Big Shaker Earthquake Simulator, inflatable slide, Play Streets’ Kids’ Zone, a free lunch, CPR trainings and health screenings. The goal of the event was to provide access for Bayview residents to connection, capacity and resources. And RBV launched the Resilient Heatwave Strategy, introducing five cooling center locations to the Bayview. The event fed 251 residents, vendors and community volunteers. 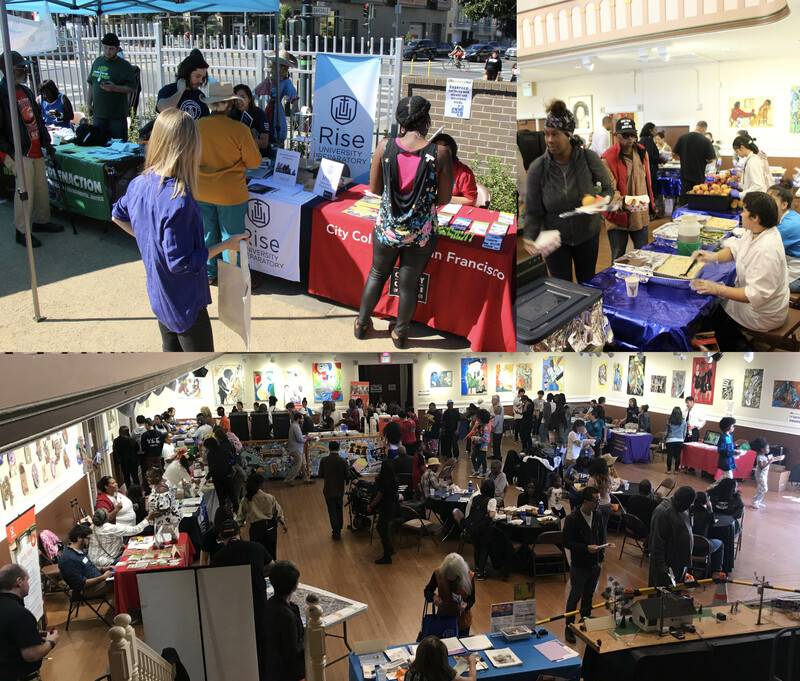 The resource fair featured 30 health and resilience related vendors who reported engaging an average of 69 residents each. Trained 45 residents in hands-only CPR, who also received flashlights, emergency whistles and small first aid kits. Vendors gave away 50+ survival toolkits, 20 emergency backpacks, 20 earthquake preparedness kits and 17 smoke alarms. 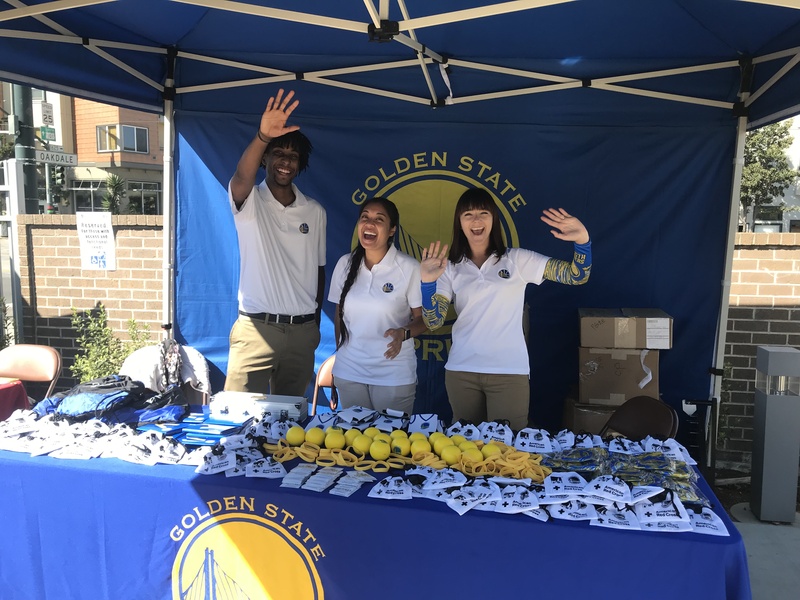 Raffle items included 3 signed photos of the Warriors, 6 YMCA memberships and 10 emergency kits valued at $60 each. SFSU Nursing provided diabetes and blood pressure screenings. Vendors educated Bayview residents on the use of 911 & 311, Safe Routes to School, employment opportunities, police accountability, brain health & dementia, local environmental justice, Black Infant Health, WIC benefits, childcare options, services for seniors, voter registration, emergency preparedness and more. Mayor London Breed, BOS President Malia Cohen and DEM’s Exec. Dir. Mary Ellen Carroll welcomed guests. Entertainment included Maestro & Nola Curtis feat. the C-Notes, Caribbean Steel Drum Band, Niecy & Mix Blend, DJ Jackie Jennings and the Navy’s 32nd Street Brass Band. Play Streets created a safe and fun Kids’ Zone adjacent to an inflatable slide from Silvana Jumpers. 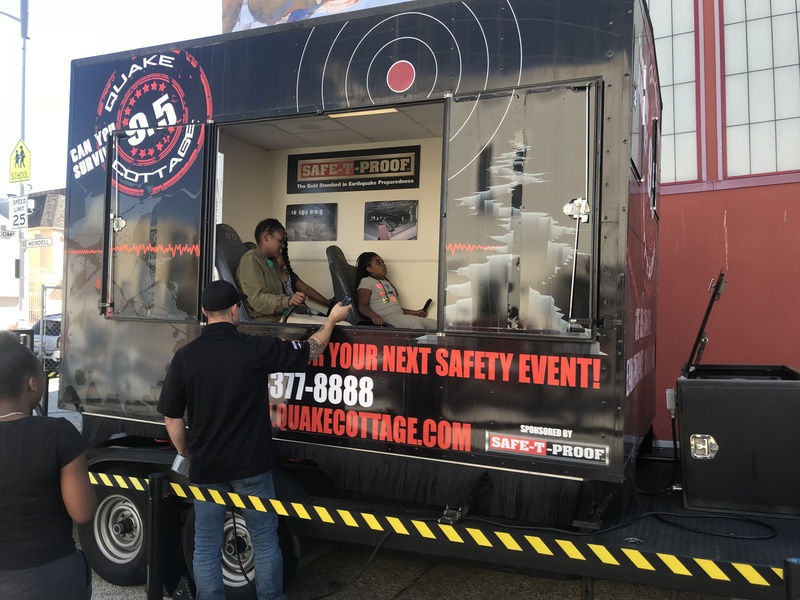 Guests rode the Big Shaker, provided by Earthquake Country Alliance, and learned about earthquake safety. San Francisco Police engaged residents and the Fire Department brought a fire truck for demonstrations. Partners: DPH, UCSF, Earthquake Country Alliance, CYC, OCEIA, Wise Health, PUC, Bayview Senior Services, DPW and YMCA.